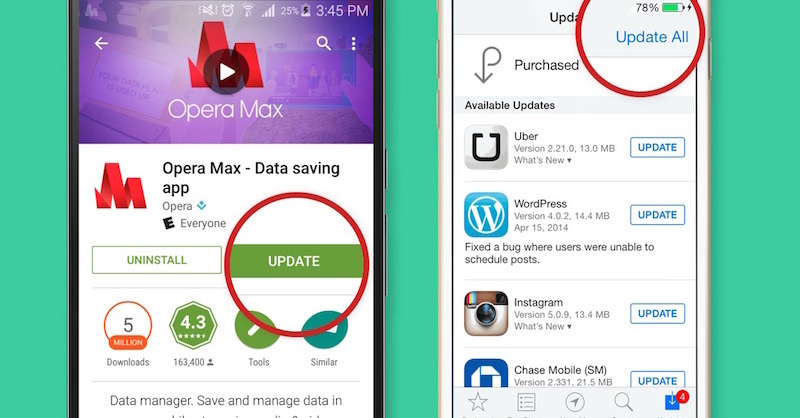 App updates tips on Android and IOS. Keeping your apps up to date is one of the best ways to make sure your mobile phone performs at its best. Not only do app updates help your phone speed up, but also you get your apps’ freshest features and cool functionalities. Who wants to be stuck with outdated apps anyway? Updating apps on your Android phone has many advantages, with some of the most important being security and stability. 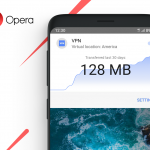 At Opera, we update our apps to release fixes and new features or functionality, as well as to address security issues that arise. To perform app updates on Android, simply go into Google Play, slide out the left-hand menu, and select My apps & games; then, choose whether you want to update all your apps or update one by one. Important note: If you have set up your app updates to be automatic, you should know that new systems permissions on Android mean your apps may not be automatically updating. You should go into Google Play and check the update status. Whenever you need to perform app updates on your iPhone and iPad, a notification will pop up asking whether you want to update now or later. Depending on your network condition, you can then choose. Users complain of slow app updates on iOS sometimes. If this happens to you, try rebooting your device. 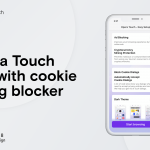 There may be apps that are running in the background and using the internet connection – rebooting your phone closes all other running apps, so you may focus only on app updates. To reboot, simply press and hold both the power button and the home button for 10 seconds.